The appeal was concerned with two questions (1) how the sharing principle in ancillary relief is to be applied when the husband’s assets are the proceeds of sale of a company he bought into the marriage and built up during the currency of the marriage and (2) did the need principle, where it suggested an award lower than generated by the sharing principle, inform or dictate the extent of the departure from equality within the sharing principle. Along the way, the Court of Appeal found a way to cite, consider and disagree with the recent decision of the Court of Final Appeal in WLK v TMC, Unreported, 12 Nov. 2010, FACV 21/2009. It’s a rare book that you can read shivering on a cold day and feel only the cruel edges on the prose. 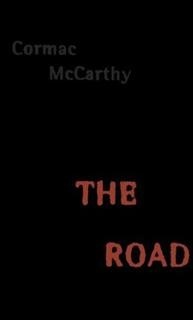 Cormac McCarthy’s ‘The Road’ is such a book. The Road follows the journey southwards of an unnamed father and son, a decade after a great, unexplained cataclysm (which appears to be a nuclear winter) has destroyed civilization. The father leads the boy, through the desolate landscape, along vacant highways, towards the sea. They are sustained only by the vague hope of finding warmth, food and more “good guys” like themselves. Carrying only what can be salvaged from the passing remnants of civilisation, they must avoid the savage bands that roam their path. The characters transform the standard post-apocalyptic survival genre into a captivating horror because of the intimate father-son bond which keeps both alive in this bleak world. Fighting for each other, motivated only by their desperate, life-gripping need to stay for each other, they provide a frightening lens to view survival. I would have enjoyed worshipping a sun god: streaming sunlight captures my heart. Bright sunlight, its glory re-re-re-reflected back up to the infinite, speaks fluidly of the natural order. It’s heart-stopping when you catch – and streaming sunlight always means I’ve caught – nature in the midst of its most powerful rite. There is a transcendental power in sunlight – the most potent of primitive forces.